Here's another recipe from 100 Recipes Every Woman Should Know. I swear it's becoming one of my favorites. This one is called Style on a Budget White Sangria. Sounds fun... and sounds oh, so yummy. in "100 Recipes Every Woman Should Know"
Combine wine, brandy and sugar in a large glass pitcher. Stir until all sugar is dissolved. Add the fruit and seltzer to the pitcher. 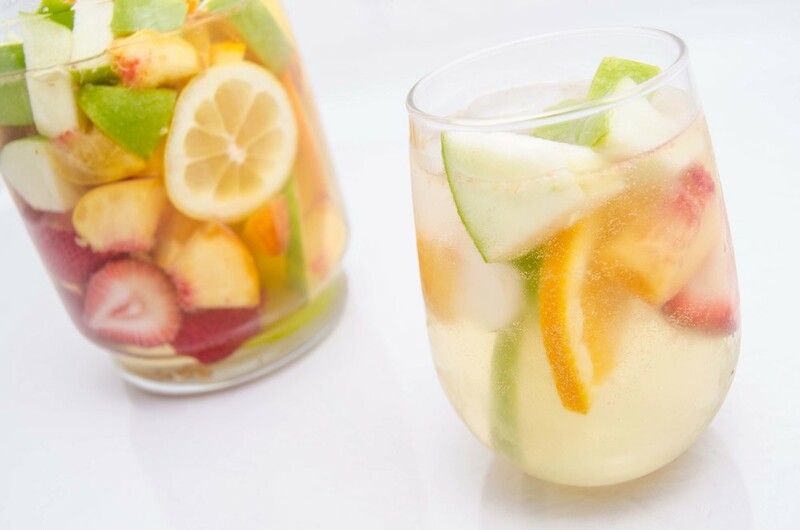 Allow the sangria to marinate in the refrigerator for 1 to 2 hours before serving. Add ice to the pitcher, stir and serve.